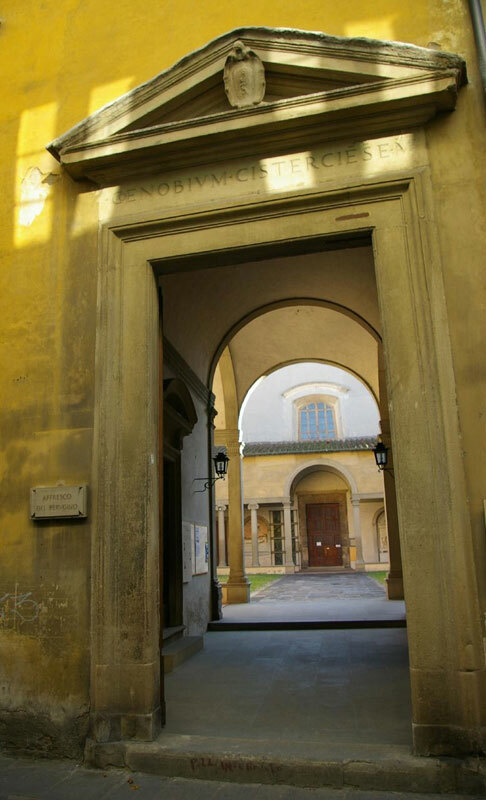 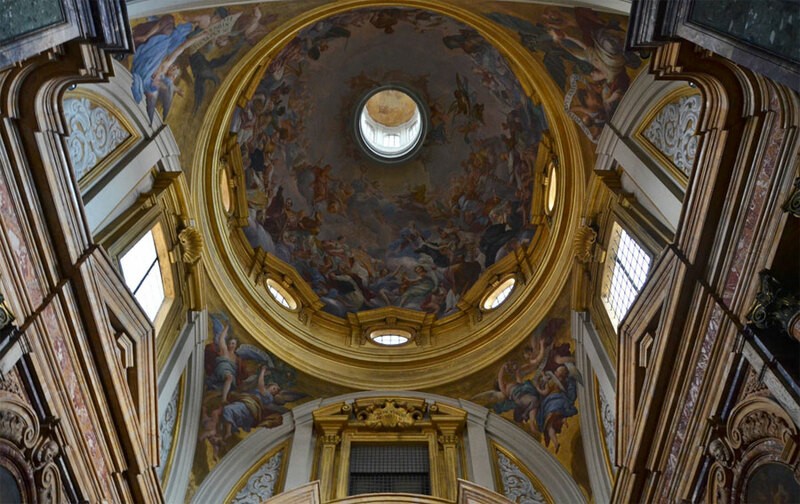 The conventual complex, dedicated to the Florentine Carmelite St. Maria Maddalena de’ Pazzi, who had such an influence on 17th-century spirituality, was originally founded in 1257 and dedicated to St. Mary Magdalen ‘delle Convertite’, in a place where there was already a house for ‘penitent’ (or ‘converted’) women who followed the Rule of St. Benedict. 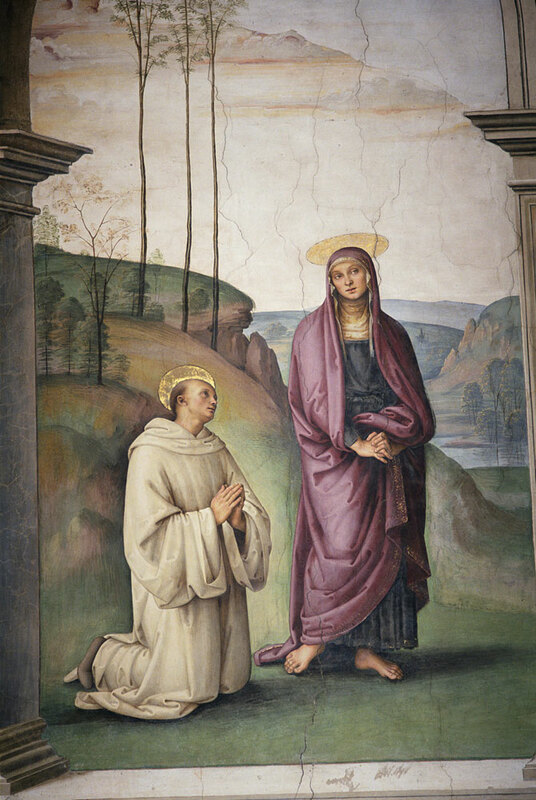 The Cistercians from Badia a Settimo, who took over control of the convent in 1322, moved here in 1442, at the invitation of Pope Eugenius IV who sent the Convertite away to San Donato in Polverosa. 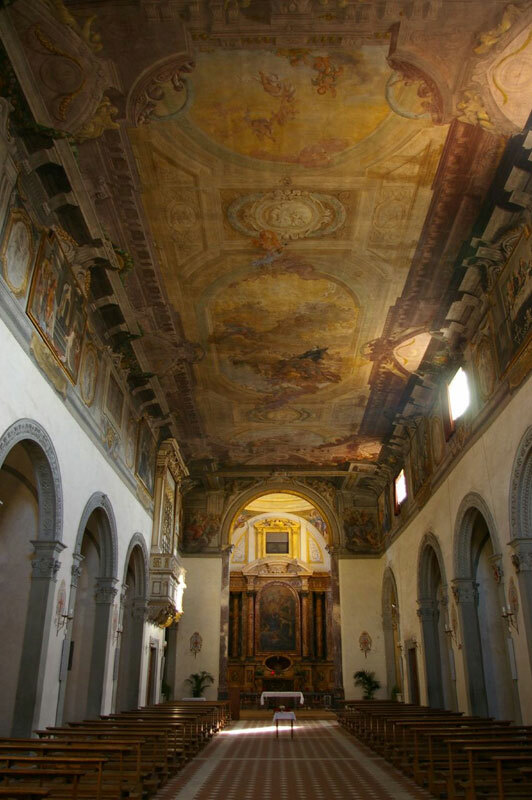 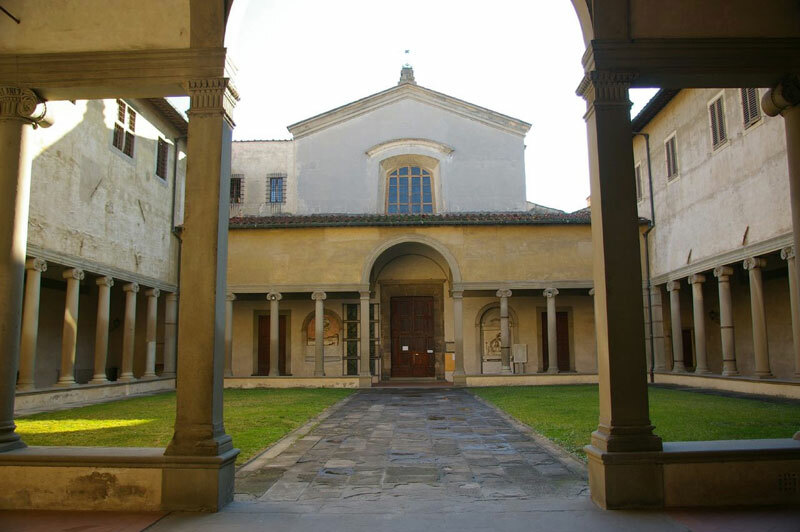 The convent in Borgo Pinti was rebuilt between 1481 and 1500; paid for by Bartolomeo Scala, it was designed by Giuliano da Sangallo, who devised the innovatory Ionic porticoed quadrangle in front of the church. 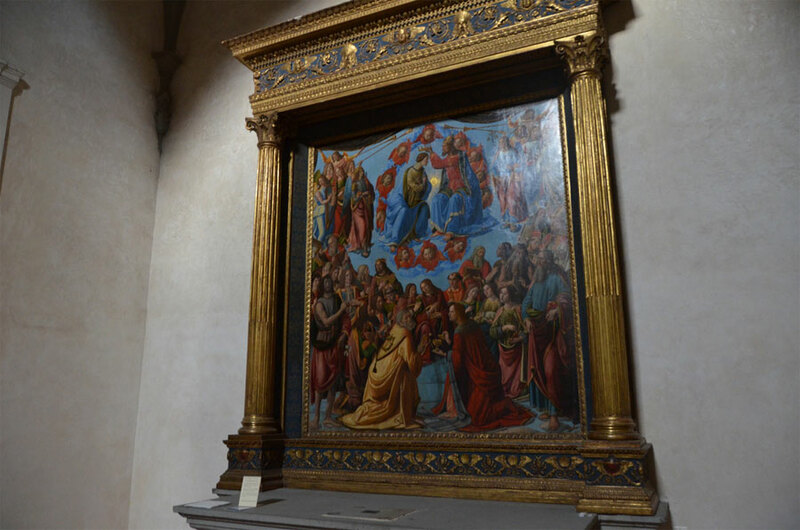 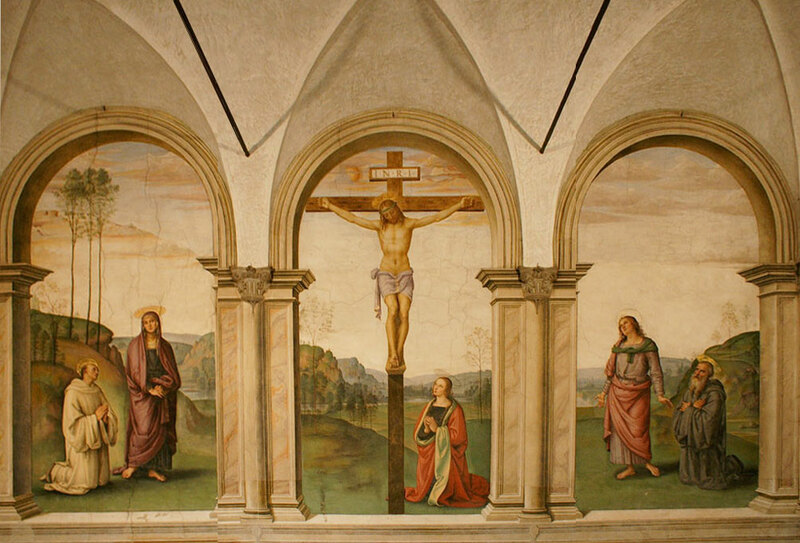 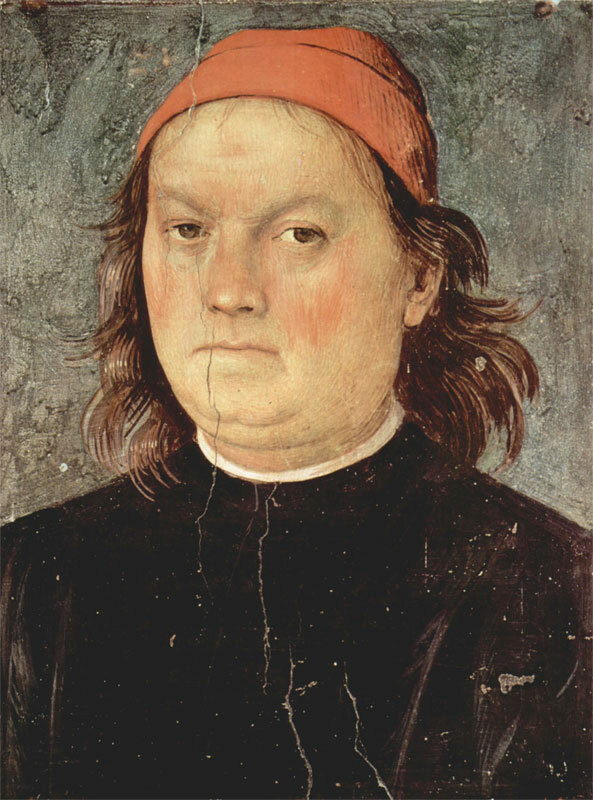 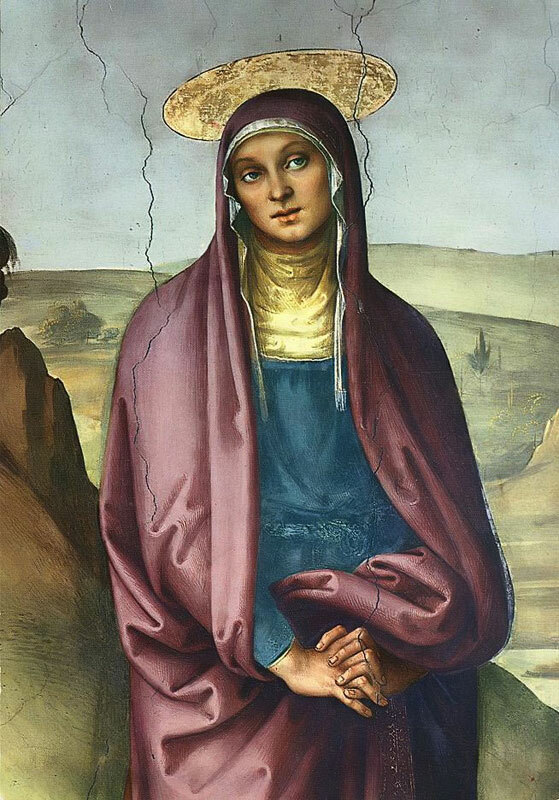 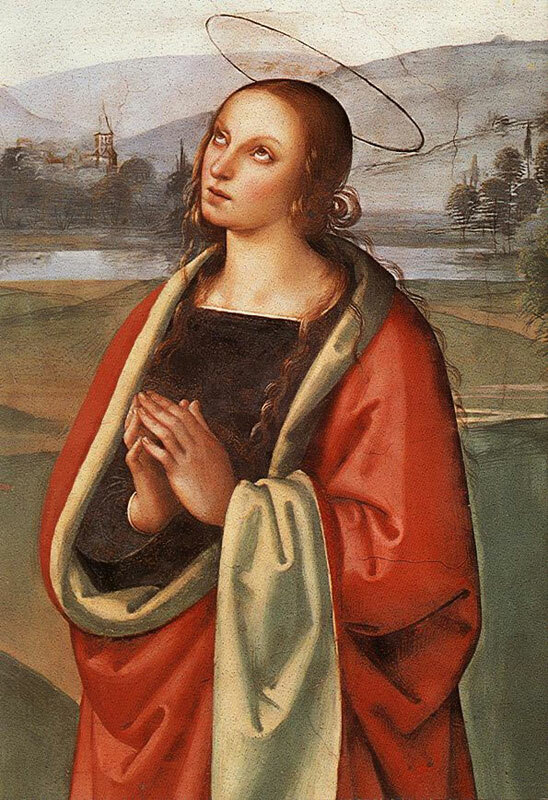 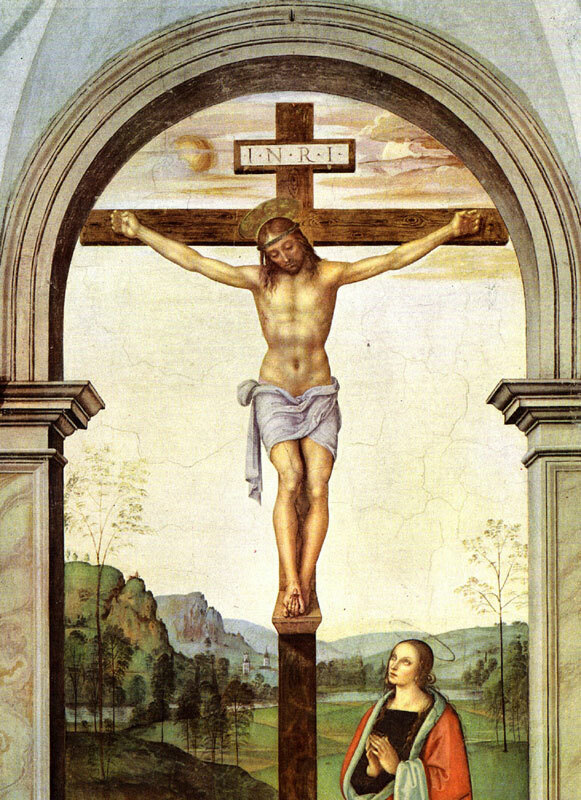 The monumental fresco of the Crucifixion, painted by Pietro Perugino in 1493-1496, was commissioned by Dionisio and Giovanna Pucci, members of two aristocratic Florentine families.